More and more in the era of “The Cloud” and faster internet, I started moving away from sending DVDs and USB drives with client’s pictures on them. It’s much easier and faster to download them from an online gallery. Recently, however, I’ve run into another unique issue. Many clients have stopped using laptops for personal use and have moved to using their phones, tablets or netbooks instead. That brings up the need again for a physical method to save all of their high qulaity photo files. So comes the need for a USB drive. 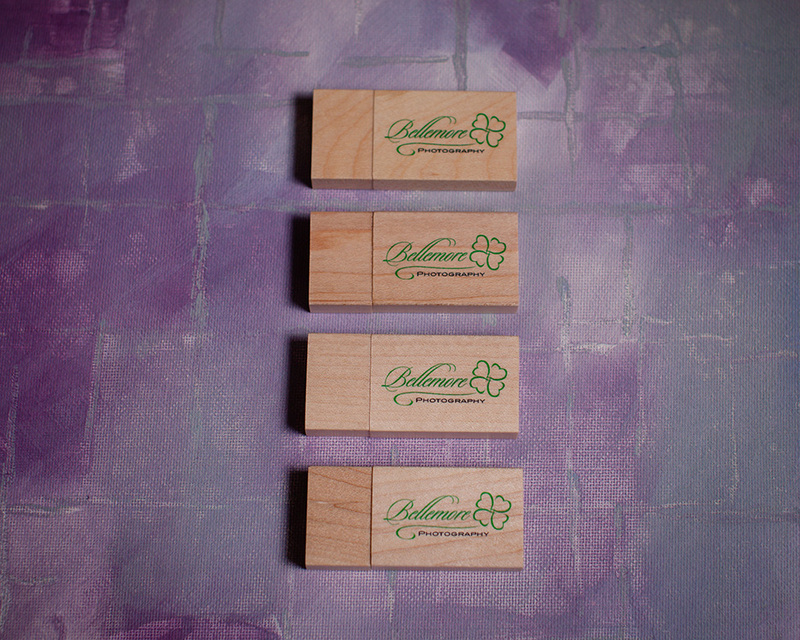 I recently received personalized USB drives from USB Memory Direct to try out and review. From the first contact with their sales team, they were a pleasure to work with. I received the drives, personalized with my logo on them, about a week or two after I began the process. They have a lot of different styles such as the magnetic wooden ones I ordered to wearable bracelet drives and even ones that are in pens. 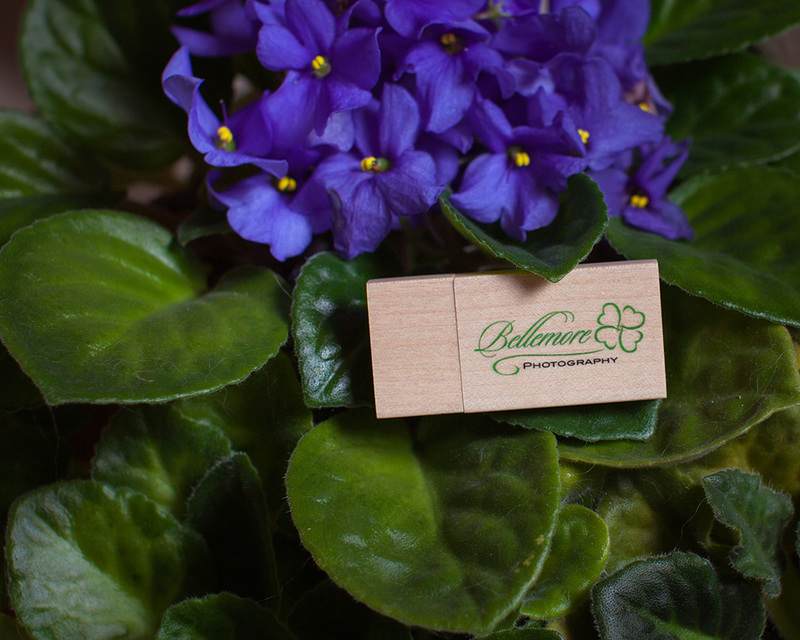 I chose the magnetic closure wooden drive because it looked classy and represented my brand well. I love how the logo came out against the wood. They sent me pictures in advance to show me how it would look and I was able to tweak it until I was happy with the color of the logo. 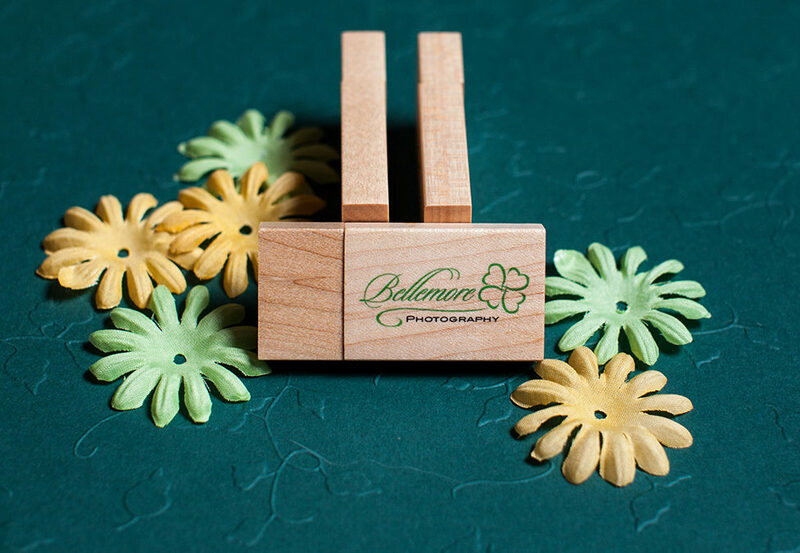 They also sent me a preview picture once they were engraved and ready to be shipped. Once I got them, I tested them out by downloading an entire wedding to it. A wedding is about 800 pictures and about 1.5GB of space. These 8GB drives had plenty of space and they were lightning fast. An entire wedding took less than two minutes to transfer. 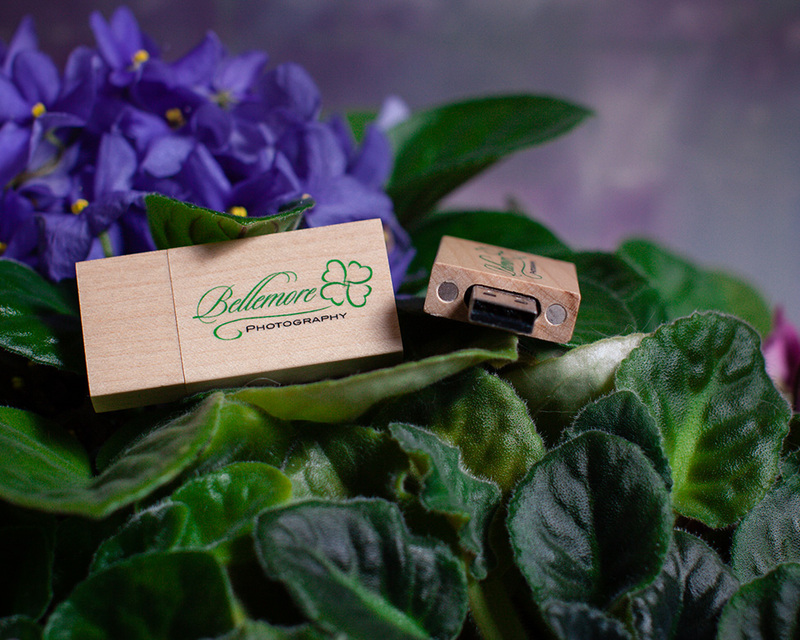 I chose the wooden drives because they looked elegant, but after reviewing their website, if you have an idea of something you’d like to make into a USB drive, they will do it. They also have a wide variety of premade designs to choose from though, so your problem will be in trying to narrow down which one you like the best. I’m happy to offer these to my clients now and excited to be working with USB Memory Direct.